Solo: A Star Wars Story has fallen short when it comes to box office expectations on its opening weekend. The film brought in $148 million worldwide over the weekend, with $84 million coming from the domestic market (North America) and $65 million coming from overseas over the film's first three days. Given that it is Memorial Day in the US, the weekend is extended to four days which, bumped Solo's opening weekend total to $103 million domestically (bring the film's worldwide today to $168 million) Early projections for the film had it making closer to $160 million over the long weekend domestically. While this is certainly a disappointment, especially for a franchise that exceeded expectations on its last three opening weekends, it is by no means a disaster. A $103 million domestic opening puts Solo above other blockbuster successes from the past several years, including all three new Star Trek movies ($75 million, $70 million, and $59 million, respectively), Ant Man ($57 million), Doctor Strange ($75 million), and Fantastic Beasts and Where to Find Them ($74 million), as well as about on par with Wonder Woman (which also had a $103 million opening weekend). All of those films were consider successes worthy of a sequel. Solo shouldn't be any different. The question of why Solo under performed is an interesting one. Likely the biggest reason is that the film was released too close to other blockbusters Deadpool 2 and Avengers: Infinity War, which both had successful weekends (finishing second and and third behind Solo, respectively). If we were to take the box office returns of those two films for this weekend ($55 million and $21 million, respectively) and add them to Solo's $103 million, then the film is more-or-less where it was expected to be. There's also the issue of releasing the film so soon after the last Star Wars movie (just five months). Star Wars works best when it feels like an event. Fans gather once a year to celebrate the release of a new film and then spend the next year (or two or three) enjoying that film and getting excited for the next one. 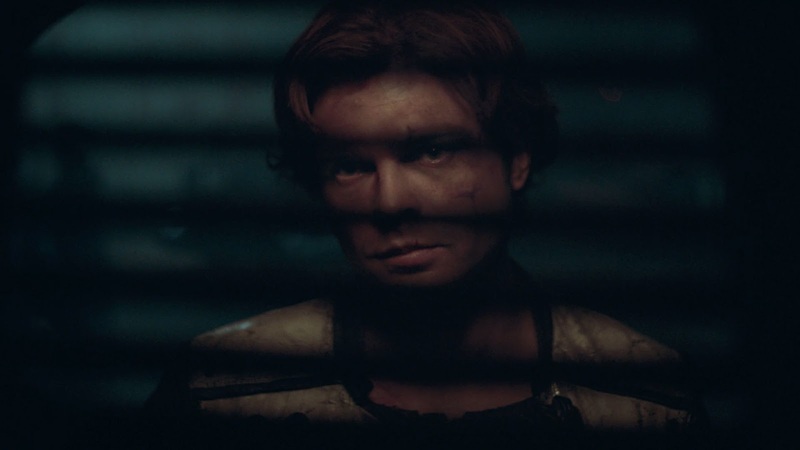 Putting Solo so soon after The Last Jedi made it feel like an afterthought, rather than the main event. Not too mention that Star Wars had just spent the last three years establishing itself as a end-of-year tradition, so the move to May might have thrown some people off. All that to say that while the opening weekend for Solo was certainly letdown for Star Wars, which is used to having billion dollar worldwide grosses (Solo almost certainly won't hit those heights), it is not a catastrophe. Many factors contributed to Solo being a letdown, but it would be no surprise to see Star Wars come roaring back in December 2019 when JJ Abrams' Star Wars Episode IX is released. Solo was a badass movie !!! I must give Ron Howard only one star. What makes a director think that audiences enjoy watching movies filmed entirely in ambient light? I realize he wants to create a certain ambiance,but to this viewers eyes, it was a strain to make out facial features. Even the outdoor scenes were all backlit leaving the characters almost as silhouettes. If you really want to make an impact Ronnie, film the entire thing in black and white. High contrast black and white. Now you are creating ambiance!